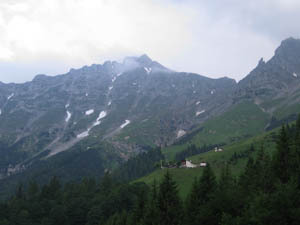 We started our hike at 5:30 at Hungerburg. 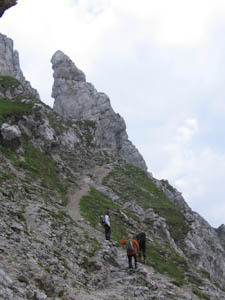 From there we hiked to Höttinger Alm. 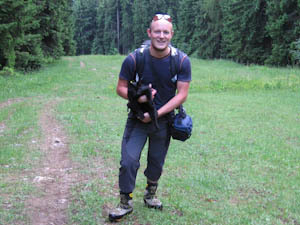 Right after Hungerburg a small dark cat accompanied us and despite our efforts to make it turn around it followed us almost to Höttinger Alm. 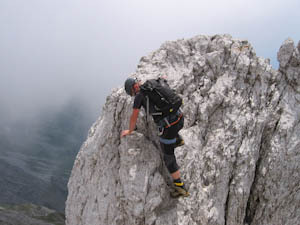 After a short break we continued via Brandjoch South Ridge to Vorderes Brandjochkreuz. 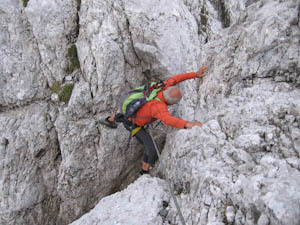 Due to his back problems my father preferred to climb down secured by a rope. 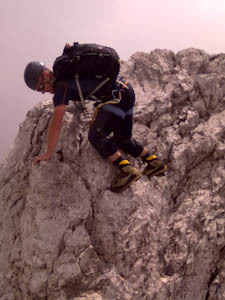 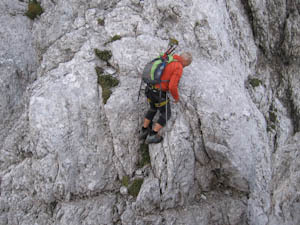 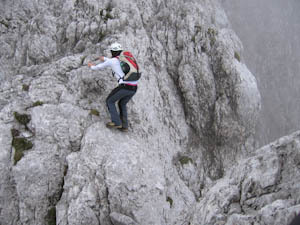 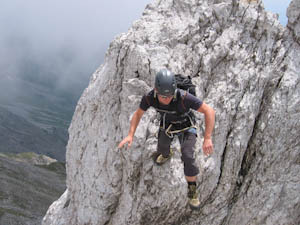 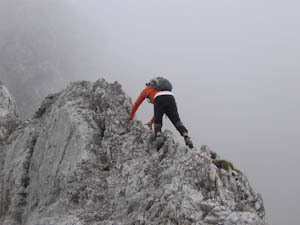 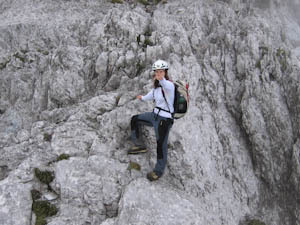 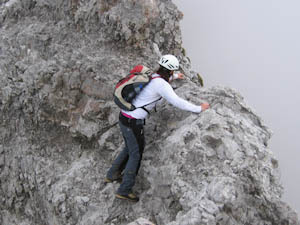 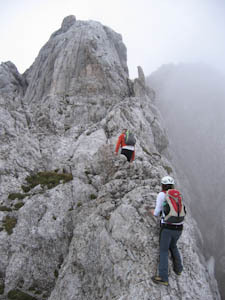 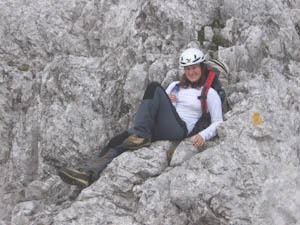 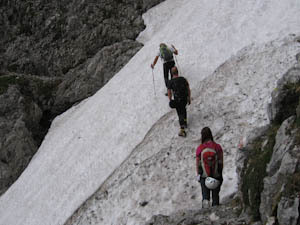 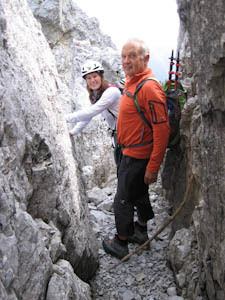 From Vordere Brandjochspitze we descended via Julius Pock Steig (East Ridge, normal way) to Frau Hitt Saddle. 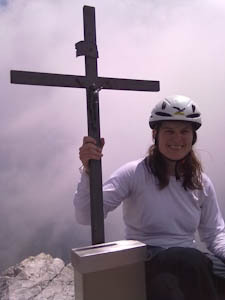 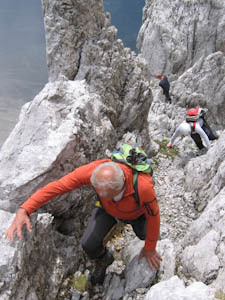 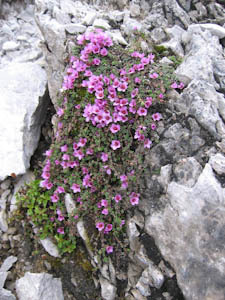 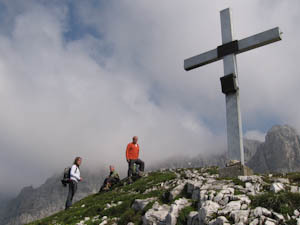 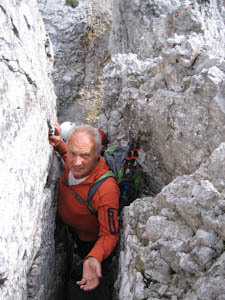 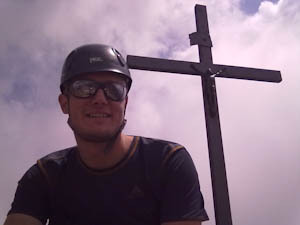 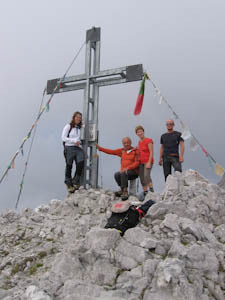 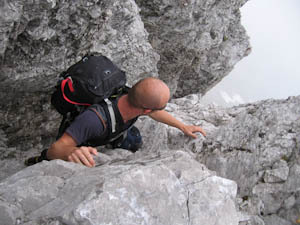 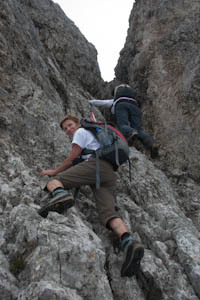 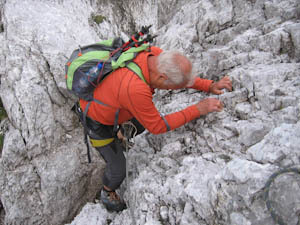 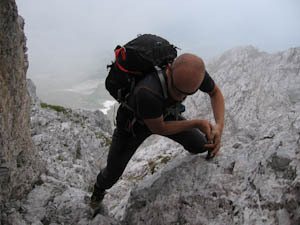 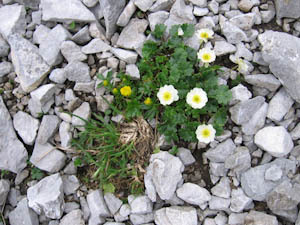 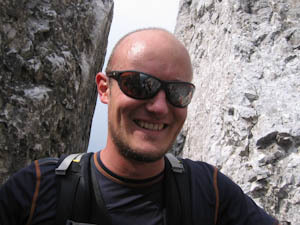 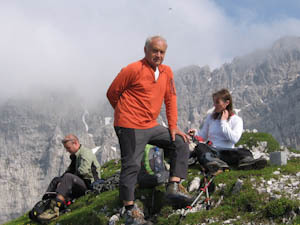 While my parents hiked from Frau Hitt Saddle to Seegrube, Matthias and I continued our tour with a climb of Frau Hitt. 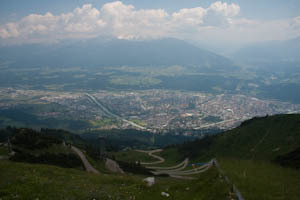 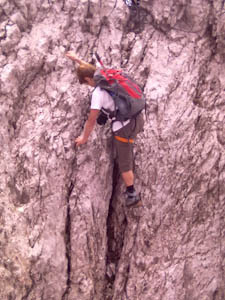 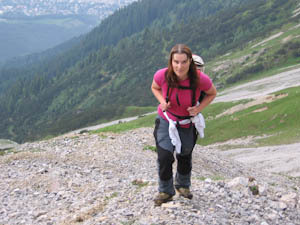 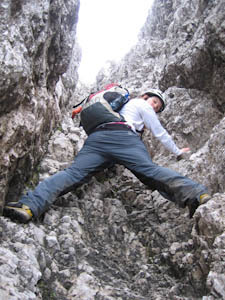 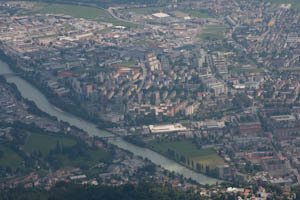 From Frau Hitt we continued via the second section of "Innsbrucker Klettersteig" (Via Ferrata Innsbruck) to Langer Sattel. 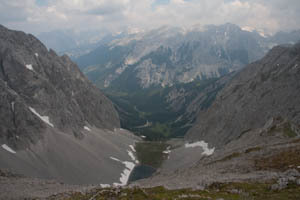 From there we took the Schmidhubersteig to Seegrube. 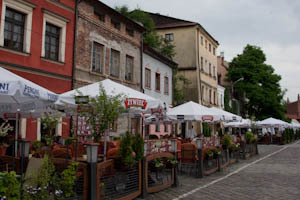 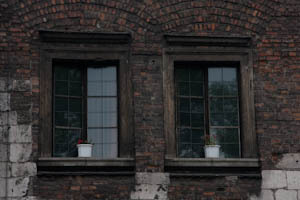 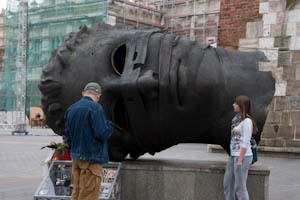 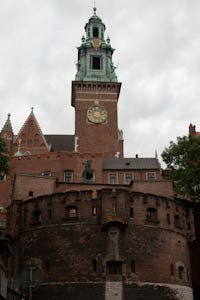 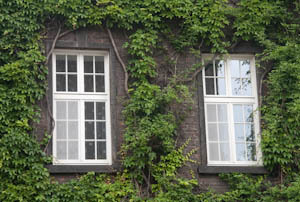 Due to bad weather we decided to spend a day in Krakau. 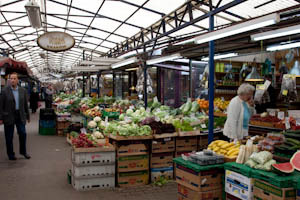 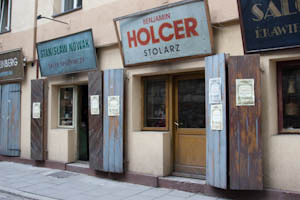 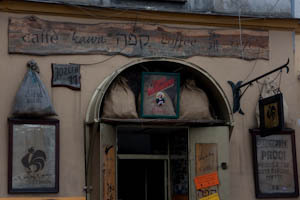 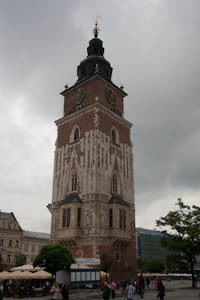 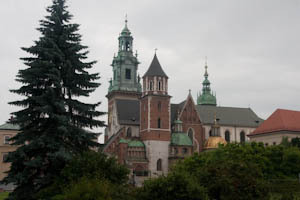 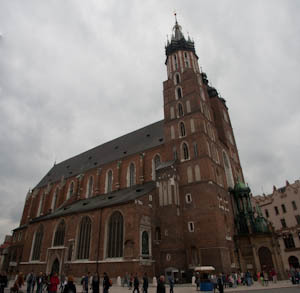 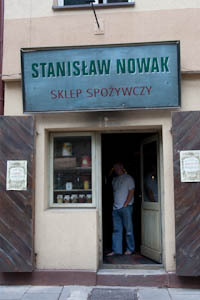 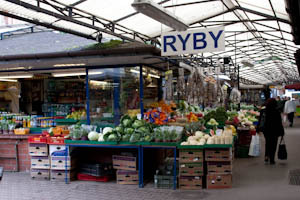 Krakow is a bit more than 100 km north of Zdiar. 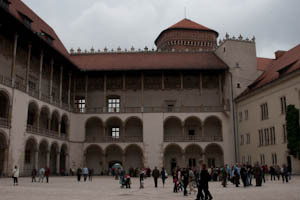 We started our visit of Krakow at the Wavel. 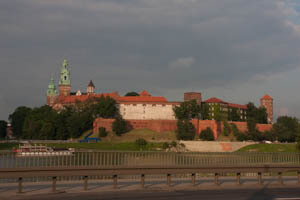 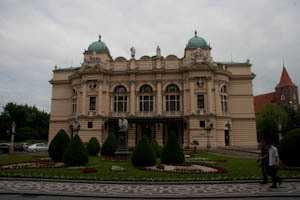 The Wavel was former residence of the polish kings of Krakow and together with the old city of Krakau UNESCO World Heritage Site. 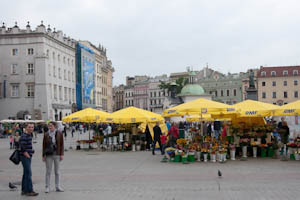 Rynek Glowny (Market Square) - one of the largest medieval squares in Europe. 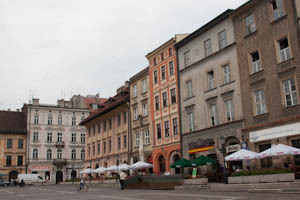 The following pictures shows Market Square with the Church of St. Adalbert in the background. 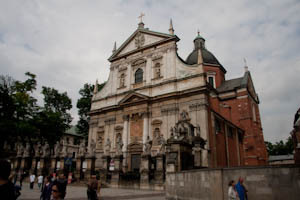 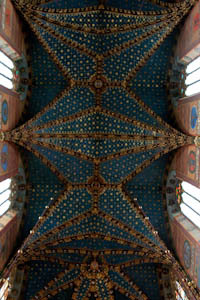 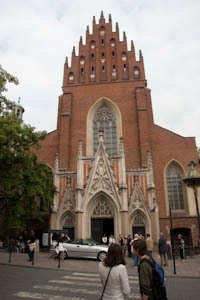 St. Adaobert Church is of romanesque origin and one of the oldest stone churches in Poland. 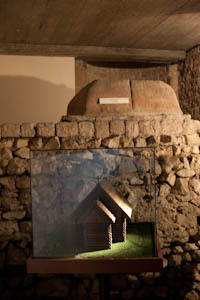 Excavations revealed a wooden structure built in the 10th century which was followed by a stone structure in the 11th century. 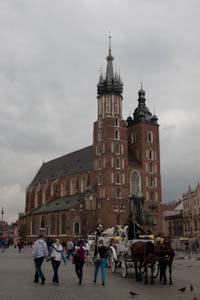 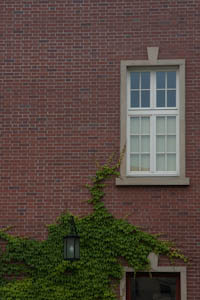 One of the most impressive sights at Market square is certainly the Church of the Virgin Mary. 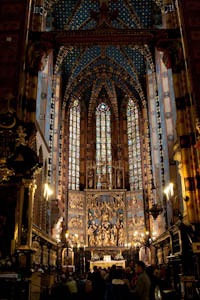 Especially the interior of the church is amazing. 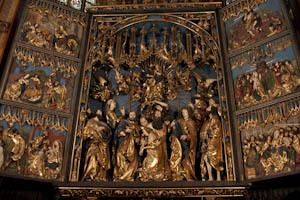 In particular, the high altar by Veit Stoss is really impressive. 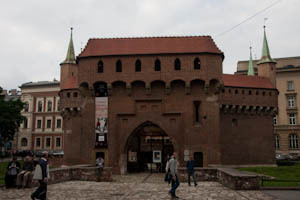 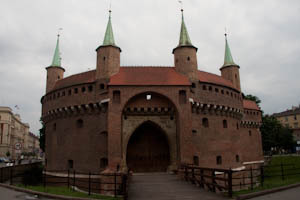 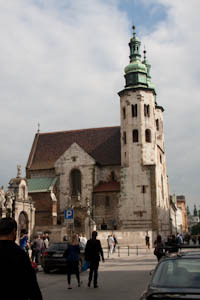 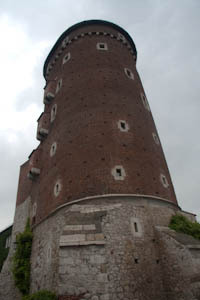 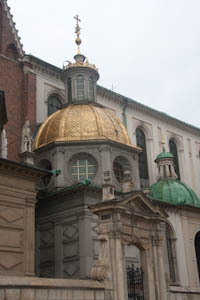 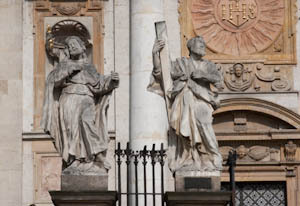 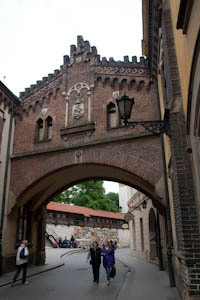 St. Florian's gate controlled the main exit to the city. 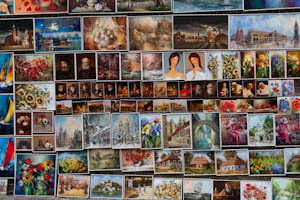 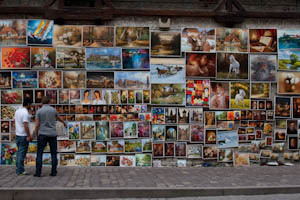 Beneath the medieval walls you can see colorfoul pieces of art by local artists.